Contemporary canvas art, original canvas art, bespoke canvas artwork, textured canvas art and outdoor canvas paintings. Original art, in any size or colours. All canvases are high quality, original art and fully hand-painted, delivered direct from the artist, at extremely affordable prices. Affordable original art by Yorkshire Artist, Kerry Bowler. Kerry is currently exhibiting works at the Devonshire Arms Hotel & Brasserie in Bolton Abbey, Skipton, North Yorkshire. ART IN ANY SIZE OR COLOURS! BESPOKE ART - NO EXTRA HIDDEN COSTS FOR COLOUR AMENDMENTS! ABSTRACT ART, FLORAL ART & ART IN STOCK CANVASES. ORIGINAL ART AT SALE PRICES! PRICES FROM £25 FOR ORIGINAL ART. MOST LARGE CANVASES UNDER £200! HIGH QUALITY TEXTURED ART AT AFFORDABLE PRICES! ALL ART IS ORIGINAL ART & HAND-PAINTED IN OUR YORKSHIRE BASED STUDIO BY INCREASINGLY SOUGHT AFTER ARTIST; KERRY BOWLER. A LOT OF OUR ART IS PAINTED TO ORDER, SO IT REALLY CAN BE ADAPTED TO YOUR INDIVIDUAL REQUIREMENTS. NEED A DIFFERENT SIZE, COLOURS OR A SEQUENCE OF PAINTINGS; SIMILAR BUT SLIGHT DIFFERENT? THIS CAN BE ARRANGED! WE OFFER A FRIENDLY, PERSONALISED SERVICE AND ARE HAPPY TO PAINT IN ANY SIZE OR COLOURS DEPENDING ON YOUR REQUIREMENTS! Prices for our original art contemporary paintings, from as little as £25! Large contemporary canvas paintings from as little as £100! We are a small, family run business that offers a professional, friendly and personalised service. All the contemporary canvas art and we offer on this website is painted by UK artist, Kerry Bowler in her Yorkshire based studio. Kerry specialises in original contemporary canvas art and original art that is hand painted only to the highest standards. Original canvas paintings (original art) and commissioned canvas paintings, with subjects encompassing abstract art, metallic art, contemporary landscape art and floral canvas art and particularly textured canvas artwork, Kerry is driven to create stunning canvas paintings that will enhance any home. Free colour changes and any other amendments can be requested. We can even supply large canvas art, so that you can have bespoke canvas paintings that are completely individual to you. Canvas wall art to suit any décor! As a professional artist, Kerry also sells her original art in shops and UK galleries, but if you buy your original canvas artwork through this website, you will be purchasing your contemporary canvas art direct and therefore at an affordable price, minus expensive gallery commissions. Whether you are looking for a silver canvas, gold canvas, copper canvas, red canvas, orange canvas, blue canvas, green canvas, purple canvas or pink canvas, or any other colour, we really can tailor to your requirements. Each and every one of our original art canvas paintings is an individual creation. In fact, no two canvases are ever exactly the same and that’s what makes each piece uniquely engaging and original art. Your original art will even come with a signed 'Certificate of Authenticity.' 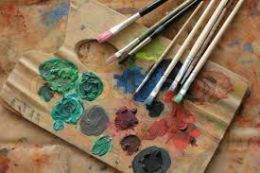 With inspiration drawn from lots of different sources, your canvas artwork will captivate everyone that enjoys high quality contemporary canvas art. Our range of textured canvas paintings include stunning metallic art, silver canvases, gold canvases & copper canvases, which really capture and reflect the light to create a different painting depending on the time of day, or the light source illuminating it. We have an increasing collection of canvas art in all colours; red, orange, yellow, green, blue, purple, black, white or greys, silver, copper and gold. If you do not see a colour to match your decor here, free colour changes can be requested. We’re confident that your canvas artwork will be a centre piece in your home for many years to come. Browse our online 'Abstract,' 'Floral Art' and 'Art In Stock' galleries now, or feel free to call 01756 461682, to discuss your bespoke, made to order canvas painting. We offer a friendly professional service and can cater our contemporary canvas art, original art, modern abstract art, bespoke canvas paintings, canvas wall art, to your requirements. Feel free to send colour samples/swatches to the studio. A photo of your room can also be e-mailed to us to ensure your contemporary canvas painting is personalised to suit the environment it will be in. Contemporary canvas art available in any size or colours - Most of the standard sized canvases are available in the drop-down boxes on this website, but we also specialise in extra large sized contemporary canvas art. Please get in touch to discuss your requirements and to obtain a quote. Free colour changes apply to our original canvas art. Abstract art, floral canvas art, abstract landscapes and seascape canvas paintings available through our on-line gallery, are all on offer for amazingly affordable prices. Our 'Art in Stock' section showcases all the abstract art and floral canvas art, abstract landscapes and seascape canvas paintings that are available to be dispatched immediately via a next working day courier service. All our original art is fully hand-painted (and most are textured canvas paintings) to the highest standards by our artist, Kerry Bowler, on high quality box canvases using premium quality acrylics and other mediums to create stunning bespoke canvas art, textured canvas paintings, contemporary canvas art. Our contemporary canvas art really sets off any room and makes a stunning addition to any home, office, business or hotel. We have an ever increasing range of original art and canvas paintings in all colours, but if you should require a canvas painting in another size or colours, just let us know and this can be arranged, free of charge! 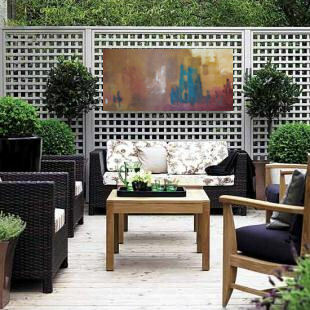 We are pleased to also be able to offer any of the original contemporary canvas art you see on this website in weatherproof materials, so you can enjoy our abstract canvas paintings or floral canvas artwork outdoors! They will enhance any outdoor space or patio area! If you are interested in placing an order for canvas artwork that is to be displayed outdoors, please contact us for further details and a quote!